SCI works to address the increasing threat of invasive plants by implementation of cultural, mechanical, and chemical control methods. Prevention, early detection, control and management, research, and education is important in controlling invasive populations thereby reducing the negative impacts on ecosystems. 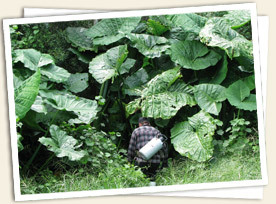 SCI is experienced in providing invasive plant management service for the Florida Wildlife Commission, U.S. National Park Service, Florida Park Service, U.S. Fish and Wildlife Service, many county and cities as well as The Nature Conservancy. in the Natural Areas and Aquatic Category. Members of SCI staff are active in the Florida Exotic Pest Control Council and the Florida Vegetation Management Association. 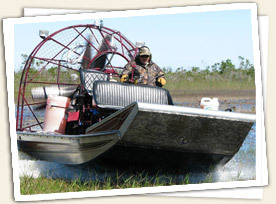 We provide invasive and exotic plant management service in Florida from the Panhandle to the Keys. We have worked in many types of terrain and habitat, successfully completing environmentally sensitive, complex and difficult jobs, including foliar, cut stump and, basal treatment, as well as hand and mechanical clearing. Our management and supervisory team have extensive experience in exotic or invasive plant control/removal and natural resource management. SCI is committed to using the most effective management methods against exotic and invasive plants while minimizing damage to natural systems. 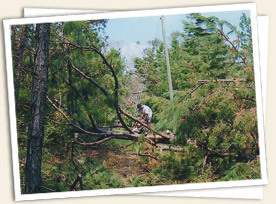 Since Hurricane Opal in 1995, SCI has performed successful disaster recovery projects. After a severe storm, clearing debris is imperative to access downed power lines. SCI has the skill, resources and experience essential to clear debris allowing quick access to electrical lines for service crews to rapidly restore power. SCI performs utility line inspection and maintenance for rural electric cooperatives ensuring reliability, public safety and performance. SCI assesses the condition of rights of way, poles, distribution lines, and overhead line hardware. 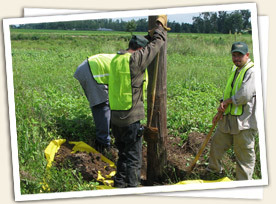 We provide our clients with the highest degree of care, safety and professionalism in the performance of pole inspections and maintenance and right-of-way clearing. Maintenance extends the service life of support structures, and treatments protect utility poles from decay and insect damage. SCI is committed to ensuring the reliability of our client’s distribution and transmission lines. ©2009 Southeastern Chemtreat, Inc. All Rights Reserved.